The inspiration driving this ring and container is the ever-prized Calla Lily. The flower, scientifically referred to as Calla Aethiopica, is a delicate and elegant one, the forms of which were translated into copper and sterling silver. 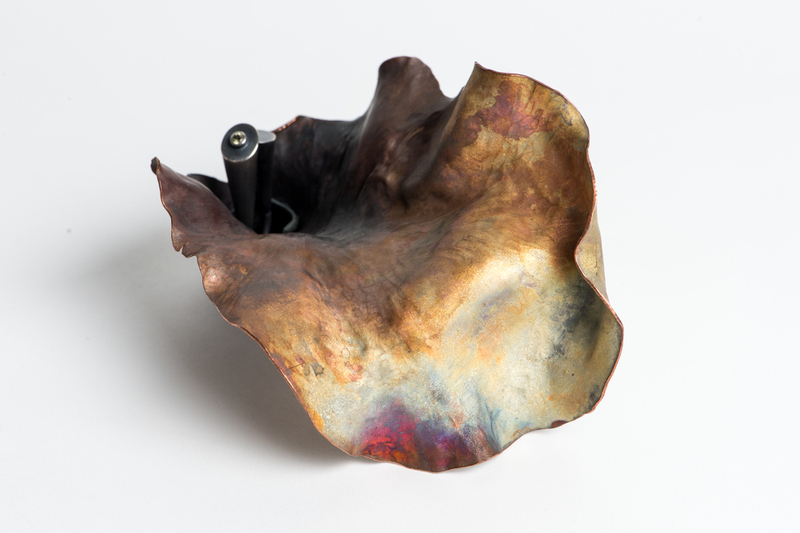 The copper container is forged and raised to replicate the texture and form of the live plant. The color was achieved through a heat patina. The hollow ring resembles the Spadix of the plant, yet can separate from the container to fulfill its original intention. Set in the ring is a 4 mm Lemon Quartz.